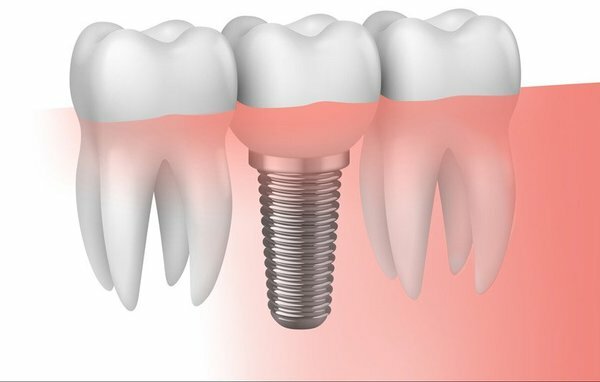 Implants replaces the tooth’s root for a secure, permanent replacement option. When a patient comes to Norlane Dental Surgery in need of a tooth replacement, dentists provide a thorough explanation of each option to help them fully understand what to expect. While solutions like dentures and bridges can be great solutions for many people, dental implants are especially beneficial for many reasons. Instead of a restoration that simply sits on top of the gum, an implant actually replaces the tooth’s root for a secure, permanent replacement option. As a result, patients can experience a number of advantages compared to alternatives. These include looking and functioning like a natural tooth, not relying on adjacent teeth for support, no slipping, improved chewing and speaking ability, no extra maintenance and the fact that they’re a permanent tooth replacement. Dental implants can be used as a single tooth implant or to anchor dentures, depending on the needs and goals of the patient. They can also be used for a fixed bridge to replace dentures. For more information about implants and how they can improve oral function and aesthetics, contact Norlane Dental Surgery on 5278 2666.